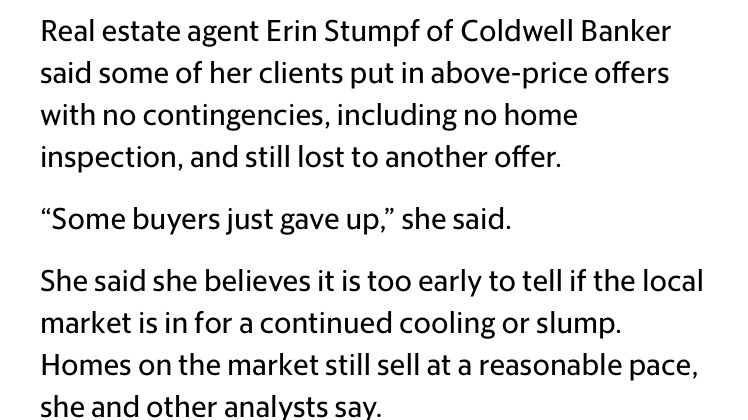 I was quoted a few days ago in a SacBee article this week about the cooling home market. But is this really news? I am not sure this is anything to get hot and bothered by. We have 2.2 months of inventory right now. For the sake of comparison, there was 15 months of inventory in September 2007 when the market turned south. 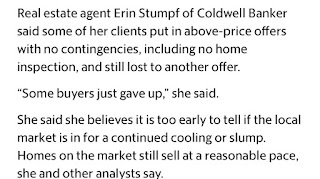 Peeps, I have been in real estate for 13 years, and the market today is nothing like it was then. Contrary to what many would think, it is normal for the Sacramento real estate market to seasonally slow down a bit in the months of July, August, and September. For the past several consecutive years, the available number homes for sale has tended to spike during the summer months while demand calms down slightly. This is normal. I think it probably has to do with our super hot summers...people go on vacation in July. Schools resume in August...people just have other priorities during Sacramento summers. And then after Labor Day the market picks back up a bit again until the holidays. 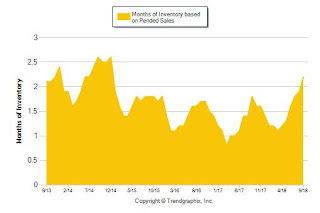 In fact if you look at a graph examining months of inventory in Sacramento County, you will see the same trend each summer...inventory increases. Then it decreases. And the same has happened this summer. This is not unusual. In fact, if you look at the increase in inventory from summer 2014, the increase in inventory then was much higher than it is now. And everything was peachy keen. The reality is that good homes are still in high demand.